Umbria has always been one of the Italian regions that can surprise me, and my last visit was not far behind. 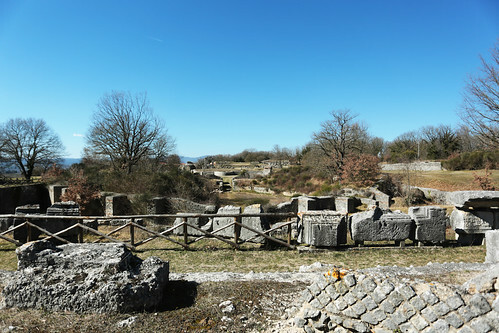 I went to visit the archaeological site of Carsulae, in the province of Terni and not far from the sources of San Gemini (“San Gemini north” exit along the E45). Here there is the ticket office (5 euros for adults), as well as a small museum that collects and illustrates some archaeological finds. Piccolino, I found it very neat and precise, and I was pleasantly surprised by the high presence of indications (always well-placed side by side with the objects to which they refer). Here you will also find the bookshop, a room for children and the “Cinzia Perissinotto” study room (on the territory of lower Umbria). 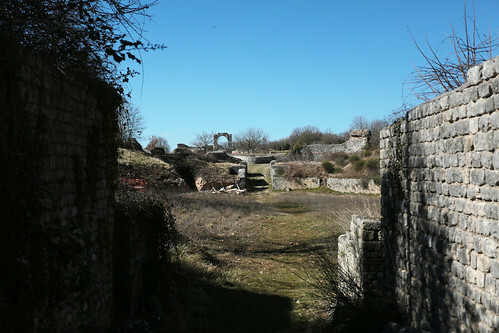 The city was built along the western branch of the Via Flaminia, which ran through the town from south to north and coincided with what was its Cardus Maximus. This urban stretch of the road was paved with bacoli and crossed the Decumanus Maximus (east-west orientation) to the height of the city forum. Short note: the Decumanus Maximus was also the street that led to the theatre and amphitheatre. 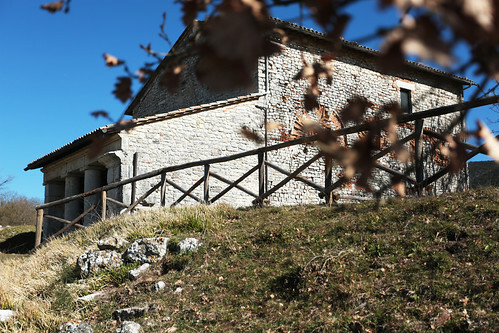 Small and very simple, dating back to about the eleventh century, this is the first building you will meet walking along the ancient Via Flaminia. To construct this church, a part of a pre-existing structure dated between the 1st and 2nd centuries after Christ was re-used, but its use is not known. To build this church, was also highly reuse of building materials from the Roman era, which is evident from the porch. The interior is straightforward and bare, and on the back wall, there are frescoes representing scenes of a sacred nature. In front of the small church and between this and the old basilica there are some building remains like door jambs, door thresholds and pieces of walls, probably part of some residential buildings dating back to a period before the imperial phase. Near to the building complex, there were the Tabernae: formerly with vaulted roof and stone counter, they were commercial buildings located in front of the church. This building had the primary function of a judicial court. 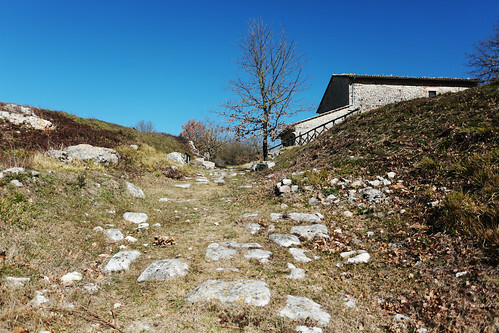 It was part of the forum, even if located on the other side of the Via Flaminia, and is dated to the early Imperial age. Today, unfortunately, only the plinths of the pillars that divided the main room into three naves and, on the bottom, a narrower transverse room and with the apse in a central position are recognisable. The forensic square, open to the west along the Flaminia, was framed on the eastern side by two monumental quadrifronti arches (one of which was partially rebuilt). On the southern side, raised above the street level, the podiums of two twin temples are still preserved today, thanks to a staircase (also partially rebuilt). Unfortunately, it is not possible to go back to which gods were revered because there is no reference. 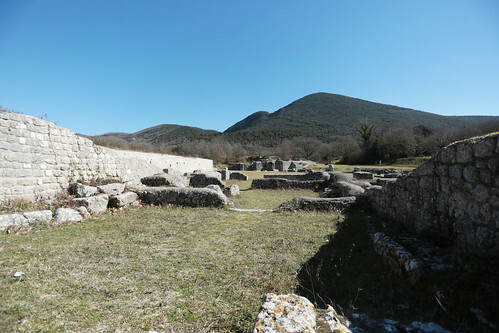 On the northern side there are the remains of four apsidal buildings: the largest was the Curia, seat of the municipal senate) and the smaller ones hosted collateral political and/or administrative activities. Marble decorations were also found. The excavations brought to light four cisterns, two north of the spa and two near the theatre and the amphitheatre. To the west of the city, in a more marginal area, there is also a well. to reach the cavea. The theatre was built “above ground” and is slightly earlier than the amphitheatre. 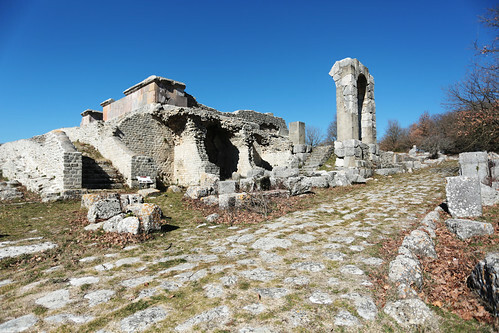 The “scaena” preserves traces of the original tripartition of the front with a semicircular niche in the centre and two rectangular sides, while a wall divided into slots separates the pulpitum (stage) from the orchestra that was connected to the outside by two parodies (side passages). The cavea, in the middle and upper part, was supported by fifteen vaulted rooms and by the covering of the ambulatory they overlooked. You could climb to the upper floors thanks to a forepart crossed by stairs. Slightly detached from the central core, there are some funerary monuments and what is called the “south-east district”. The latter has been identified thanks to surveys carried out between 2012 and 2014: among other things, a concrete, wall structures, a hypogeum structure and three rooms have been defined along a road track of August age, then interrupted. It seems that all these structures were destined for commercial and productive uses. The materials of the final layers date the period of abandonment with the IV century AD. We know that Carsulae also had a spa which, unfortunately, is not in sight (it has however been identified and is, therefore, also indicated on the map that you will receive at the ticket office).